This post addresses one seemingly simple yet important question. What are the current US student visa (F-1) issuance and rejection rates in Vietnam? As the US State Department points out, the worldwide student visa issuance rate was 87% (rounded up) in the 2010 US government (USG) fiscal year ending 30 September 2010. Answering this simple question is a multistep process that requires some detective work and powers of deduction. 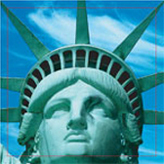 Download a report on worldwide visa stats from travel.state.gov (i.e., FY10 NIV Detail Table). Look for F-1 and Vietnam: 8681 F-1/student visas issued in FY10. Use the issuance rates for Hanoi (Embassy) and HCMC (Consulate General) mentioned by a consular official in a recent briefing for US higher education colleagues: 80% for the former and 50% for the latter. Figure out the percentage breakdown in visa issuance rates between Hanoi and HCMC (70% HCMC and 30% Hanoi – “While I can’t give exact numbers, that’s close to the general breakdown,” according to a consular official). This means that an estimated 15,408 young Vietnamese, the vast majority of whom could presumably afford to study in the US, applied for a student visa from 1 October 2009 to 30 September 2010. 6727, or over 40%, were rejected. Where did they go, assuming they didn’t reapply? To “second choice” countries like Australia, Singapore, the UK, etc. and in-country foreign degree programs (e.g., RMIT). This is information, by the way, that can be obtained from other foreign governments by sending an email, making a phone call or downloading information from an official website. Why are these stats important? They illustrate trends and are one barometer by which US colleges and universities can assess “market conditions” for student recruitment in Vietnam. In essence, they were competing not for 15,000+ students but for fewer than 9,000 in the 2010 USG fiscal year. Reminder: Over two-thirds of all Vietnamese students in the US are undergraduates and 6 in 10 begin their StudyUSA experience at a community college before transferring to a four-year school to complete their bachelor’s degree. In 2009-10, Australia issued 10,335 student visas, down from 11,425 in 2008-09. The issuance rate was 78.6%, down from 86.4% the previous year. There are now over 23,000 Vietnamese students in Australia, up from 16,418 in June 2010. This makes Australia the most popular overseas destination for Vietnamese students; the US ranks 2nd with 17, 793 at all levels, according to the most recent SEVIS quarterly snapshot from March 2011. Last year, the UK issued 2,669 student visas, up from 2,071 in 2009. The visa issuance rate was 84%, according to the British Council. ← Đại học Hoa Kỳ đã chọn đúng đối tác!